Choose finest quality Bulk 22-250 RIFLE Ammunition for sale from the top brands you trust. Ammo Board offers rifle ammunition for sale in bulk and case orders with free shipping services. All the ammunition products you see in our website is in stock and ready to ship. 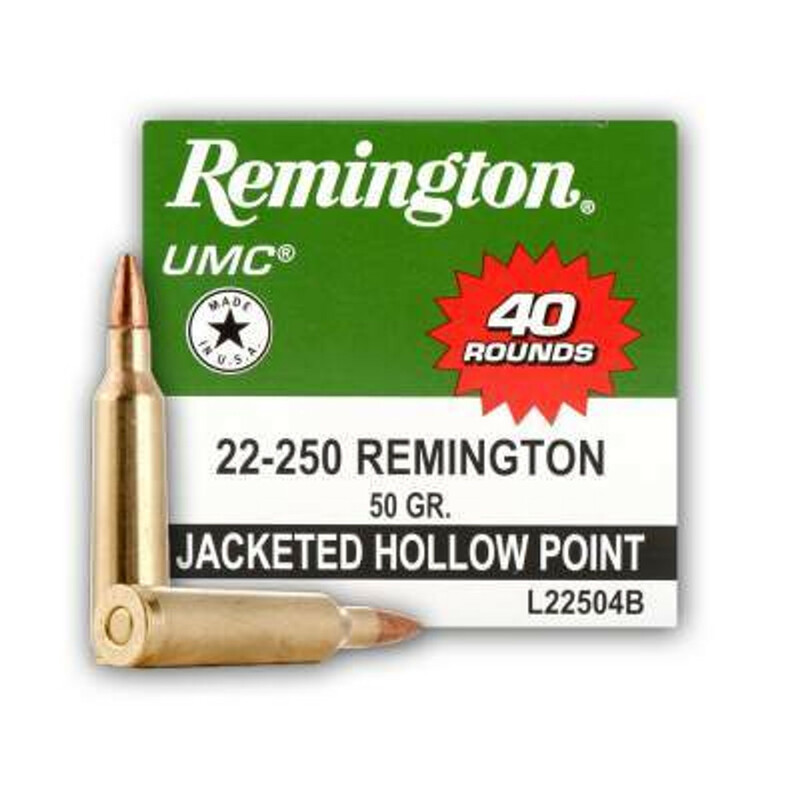 We carry 22-250 Remington ammo from top brand ammo manufacturers such as Federal, Remington, Winchester, Hornady, PMC and others. At Ammo Board, Customer Satisfaction is our company goal and we tirelessly work to meet or exceed our customer key requirements. Place your bulk order for 22-250 Rifle Ammo today & save! Free shipping on all orders. Get Best Ammo Deals on Cheap Ammo and Bulk Ammo with us. © 2019 Ammo Board All Rights Reserved.